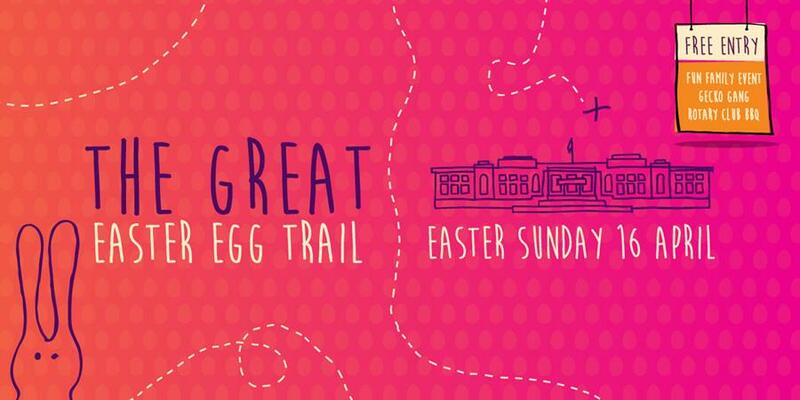 Hop along to the cleverest Easter egg trail in town at the Museum of Australian Democracy on Easter Sunday! 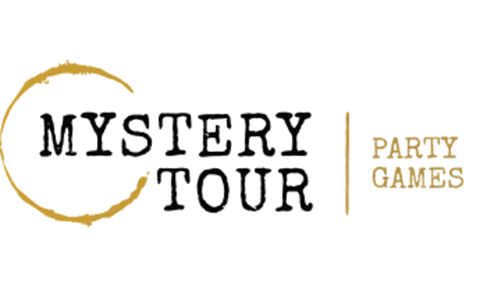 Challenge friends and family to follow the trail, find the clues, crack the code and collect a yummy reward, while discovering one of the most beautiful and iconic buildings in Canberra. 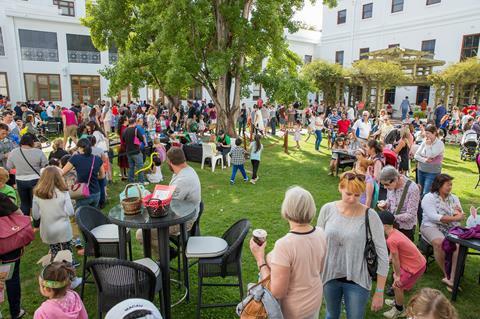 The Museum will be overflowing with happy bunnies following trails, playing Gecko Gang led picnic games and face painting in the courtyards. For hungry bunnies, a Rotary Club BBQ will be selling hot food. 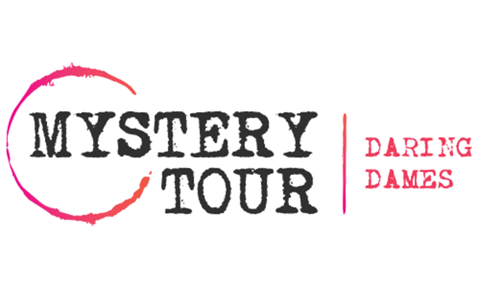 Time is running out to join a Daring Dames Mystery Tour. Hear about the women who changed Federal Parliament forever, from the toilets to the Whip's Office. You'll discover that truth is stranger than fiction when it comes to working conditions for women in offices in mid-twentieth century Australia. 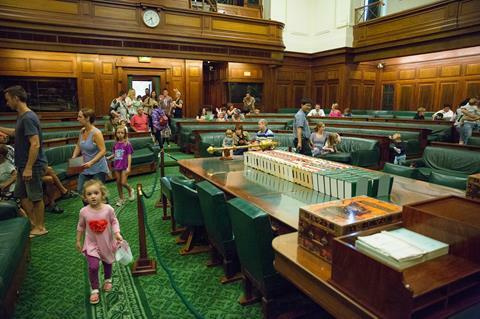 Come behind the scenes at the museum and discover that political intrigues are not the only games which have been played at Old Parliament House. 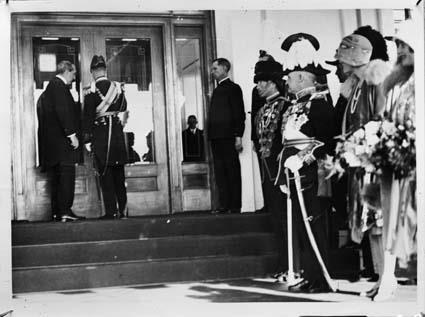 From the opening of Parliament in 1927 to the games we play now, be surprised by the antics of the people who have inhabited this building. 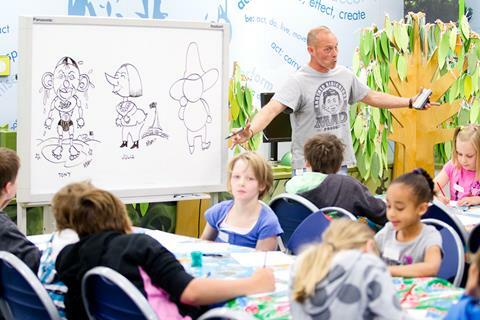 Draw like a pro with a cartooning masterclass! Political cartoonists play an important role in our democracy. They speak out about issues they care about in pictures! 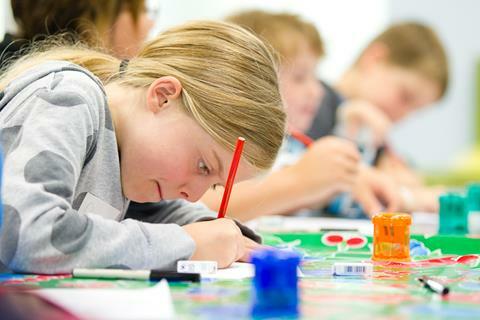 Develop the drawing skills of a professional in this fun, hands-on workshop with cartoonist Andrew Hore. Join us on the last Sunday of every month for a special Crafternoon. 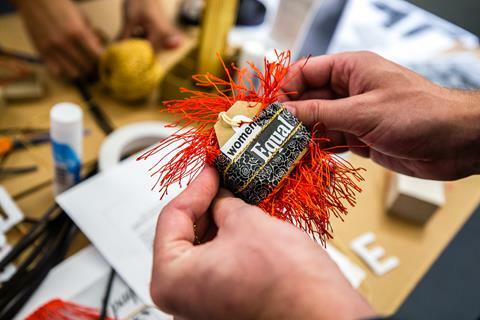 These craft sessions are helping an important cause. 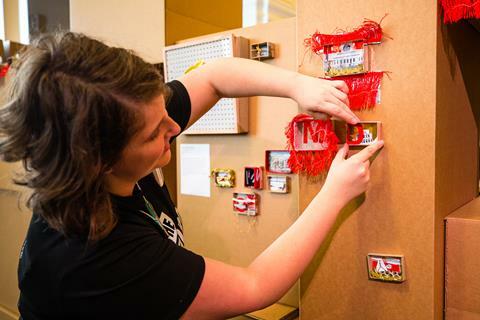 One Million Stars to End Violence is a peaceful global weaving project that engages communities in a conversation about ending all forms of violence. We're committed to weaving 10,000 stars and will run free Sunday craft sessions each month until July 2017, all welcome. Don’t miss this rare opportunity to hear award-winning journalist and author Paul Daley in conversation with the Speaker of the House of Representatives, the Hon Tony Smith MP. 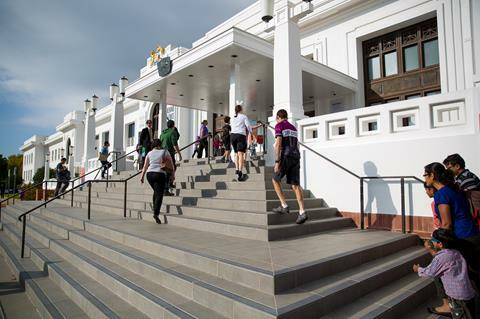 Join us as they share stories of Parliament, discuss the role of the Speaker and explain how a mutual love of AFL united a politician and a journalist. In our latest exhibition, artist Alison Alder reinterprets and reinvigorates portraits of Australia’s first eight prime ministers in a contemporary art project, featuring PMs Barton to Bruce. In this interview, Alison talks about the angles and elements of these historic figures that spurred the creative project, and the parallels between the early 1900's and today. The museum was offered this brilliant political artwork by talented artist Tal Fitzpatrick last month. 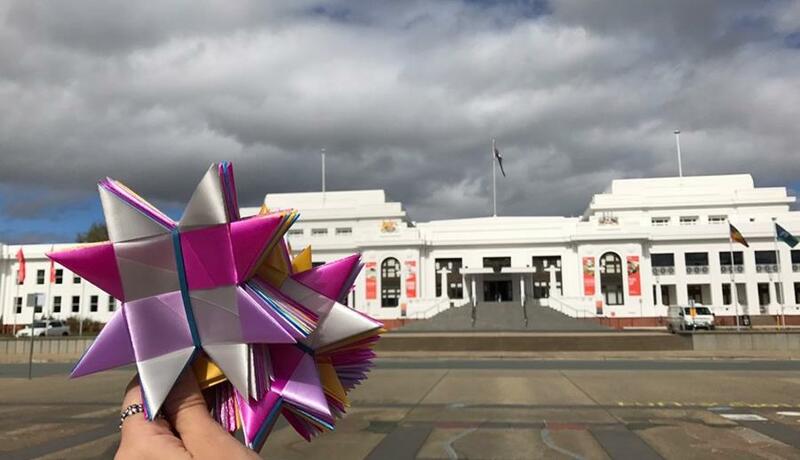 The quilt was a community ‘craftivism’ project, and a gift for Prime Minister Malcolm Turnbull in October 2015. It is a collection of ties and suit fabric sewn together, surrounding stitched work patches all beginning with the phrase 'PM Please', reflecting concerns that members of the public wanted to draw to the new PM’s attention. 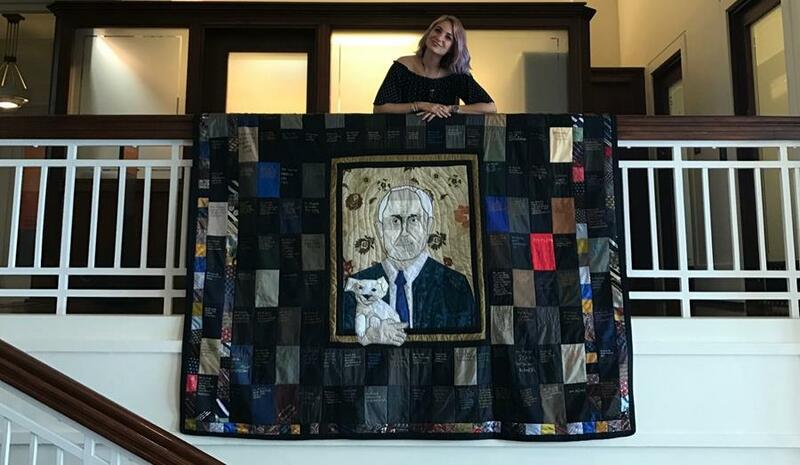 The quilt will complement an existing collection item, a wall hanging called ‘The Prime Ministers at the Marble Bar’, by Tal’s grandmother Dawn Fitzpatrick. In 1973 the Commonwealth Electoral Act gave all Australians aged 18 years or older the right to vote. The first federal election at which all 18-year-olds could vote was in May 1974. But the 1974 election was not the first to draw teenagers to the ballot booths. There had been earlier opportunities for young people to vote alongside their older counterparts. While the outside walls were bathed in vibrant Enlighten Festival projections, we welcomed over 17,000 people inside for a collaborative community art installation, For the Record. 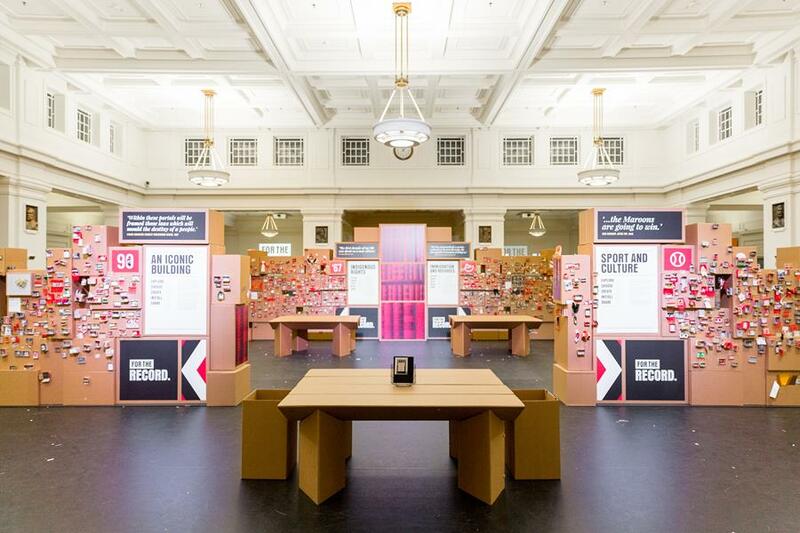 Using significant moments in our nation’s history from Hansard, the living record of parliamentary debate in chambers and committees, visitors had their say on issues such as equal pay, Indigenous rights and climate action. Still keen to take part? Choose a theme, download a #HansART kit and create your masterpiece. It can be anything, a poem, a drawing, a sonnet...one incredible creator even made a Twitter feed using Hansard interjections! Let your creative juices flow, then share it online using the hashtag #HansART.